New Delhi: State-owned power equipment maker BHEL has received shareholders' approval for the proposal to issue 1 new equity bonus share for every 2 existing shares. The proposal to issue bonus share in the ratio of one bonus share for every 2 existing shares to members was listed on the agenda for annual general meeting held on 22 September, 2017, which as passed by the requisite majority, Bharat Heavy Electricals Ltd (BHEL) said in a BSE filing on Monday. The shareholder have also approved the proposal to give a final dividend of 39 percent. With this, the total dividend for the year 2016-17 will stand at 79 percent. According to the proposal, shareholder will be issued one new bonus equity share of Rs 2 each for every 2 existing shares of Rs 2 each fully paid up. Prior to the bonus issue, the company has 244.76 crore shares of Rs 2 each aggregating Rs 489.52 crore. Post bonus issue the number of share will increase to 367.14 crore of Rs 2 each aggregating at Rs 734.28 crore. The company will require Rs 244.76 crore free reserves for implementing the bonus issue. As on 31 March, 2017, the company had defined free reserves and surplus of Rs 31,769.74 crore. Earlier, the company had said that the bonus share are estimated to be credited to shareholder account by 9 October, 2017. 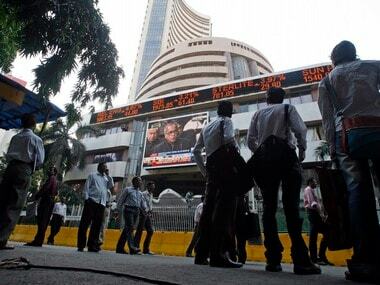 The company's shares closed at Rs 127.35 apiece, down 1.85 percent at BSE.